From bustling cities and alpine townships to stunning lakes and jagged mountain peaks, get ready for a fantastic adventure across the diverse landscape of New Zealand. Take in all the scenic settings at your own pace with the comforts and conveniences of your own personal 4 wheel drive care hire that lets you ignore time schedules and see what you like for as long as you like. Settle in to your holiday with a visit to Rotorua’s soothing hot springs. Marvel at the coastal sights located at Cape Kidnappers in Napier. 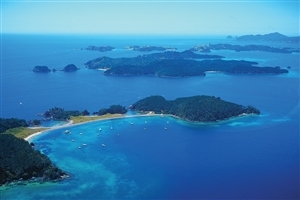 Enjoy a scenic cruise atop the calm waters of Marlborough Sounds. Discover the charming elements of the alpine town of St. Arnaud. 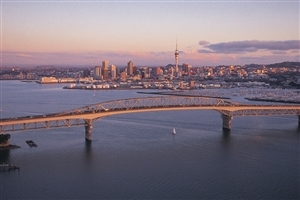 Arrive in Auckland and transfer to your designated hotel where you can unpack and settle in or get to know your surroundings as you please. 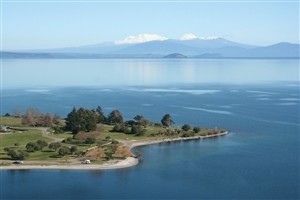 Your adventure truly begins today as you pick up your rental 4WD car and drive over to Rotorua, a charming town renowned for its marvellous geysers, natural hot springs, deep Maori culture and 18 serene, azure lakes. Be sure to pop into the Rotorua Museum and wander through the flora of the Botanical Gardens for an unforgettable visit. Traverse the natural landscape of the Te Urewera National Park on to the isolated splendour of Lake Waikaremoana and finally on to the coastal city of Napier at Hawkes Bay. 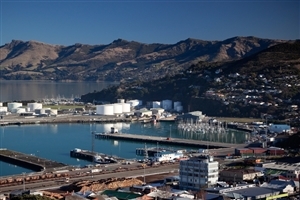 Some of the highlights in the area include the National Aquarium of New Zealand and the Church Road Winery, while those looking for something more natural should be sure to visit Cape Kidnappers and Te Mata Peak. Today you’ll have the opportunity to traverse some of the lesser known routes through the heart of New Zealand’s North Island. The scenic journey should give some insight into the rural elements of New Zealand as you come to your accommodation for the evening in Tongariro National Park. Continue on your adventure to the Pipiriki settlement via Raetihi and all along the Wanganui River to Wellington, the capital city which serves as home to both Mount Kaukau and the nature reserve of Zealandia. You’re in for a treat today as you cruise along the still waters of the Marlborough Sounds on to Picton before journeying across the scenic Queen Charlotte Drive past numerous beaches and bays on to Nelson. Drive on today to Lake Rotoiti at the Nelson Lakes National before heading from the quaint alpine village of St. Arnaud to the Tasman town of Murchison. After some time spent here, return once again to the hinterland and continue on along the Lewis Pass to the tourist hotspot of Hanmer Springs. Take the time to make a side stop to encounter marine animals at Kaikoura or simply drive directly to Christchurch before heading over the vast Canterbury Plains to the base of the Southern Alps. Begin from Lake Tekapo and catch a flight over the jagged peaks of Aoraki/Mount Cook before driving on to the gorgeous setting of the Waitaki Valley. Travel today to on through St. Bathans, through the wine region of Central Otago and on for a 2 night stay amongst the city splendour of Queenstown. Marvel at unique views of the region from Skycity Queenstown, check out the local culture at the Milford Galleries or indulge in the natural spectacles at the nearby Lake Wakatipu. 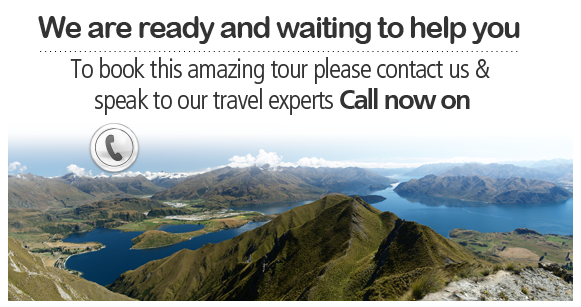 Depart from Queenstown and journey onwards to Wanaka via the Crown Range. Move on through the West Coast to the Haast Pass and take in the unforgettable sights and sounds of the Westland National Park. Spend the day uncovering the wonders of the glacier area before continuing on to the secluded coastal settlement of Okarito and finally on to Greymouth, a city with an enriched history of jade-hunting and mining. The choice is yours today on taking a detour to visit Pancake Rocks or heading straight to Christchurch via Lake Brunner and the Arthurs Pass. Your journey ends after dropping off your vehicle at the car rental office in the airport.